Ray & Kay. Ray Ray's Little Sister. Wallpaper and background images in the Ray Ray (Mindless Behavior) club. This Ray Ray (Mindless Behavior) photo might contain sign, poster, text, chalkboard, portrait, headshot, and closeup. Awwwwwwwwwwwwh She Is Soo Adorable!!!!! !Now I See Who Sheh Getz Ha Gudd Looks Frum.! Ha Bro RAY RAY!!!! awww we'll make a cute couple! aww a baby oooh a ray ray! they so cute!look at their BEAUTIFUL faces! isnt she cute she looks like her brother that i love soooooooooooo.darm much and i know we be together for ever sugar lips. 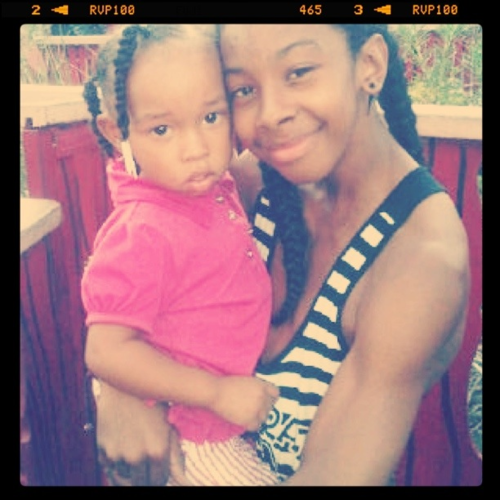 i love the baby and rayray they are so cute i love you so mach .